This week, Howie Hawkins found out that the Working Families Party brought out-of-town canvassers into Syracuse to support his opponent in the last days of the campaign for the Common Council’s 4th District. They did that in 2011 and Howie lost by 96 votes. Why the Working Families Party is more concerned with defeating a Green than helping their endorsed Democrats beat Republicans is one question. Why they support THIS Democrat — a champion of tax breaks for developers whose campaign is funded by developers, who preaches the conservative message of fiscal self-sufficiency for Syracuse on a property tax base that is 56% exempt in a city with a 38% poverty rate — is another question. Lynne Serpe, one of several candidates looking to take the District 22 City Council seat being vacated by Peter Vallone Jr. in January, says residents are in need of a change. As a candidate on the Green Party line, almost all of Serpe’s goals for District 22, which includes most of Astoria, involve sustainability. 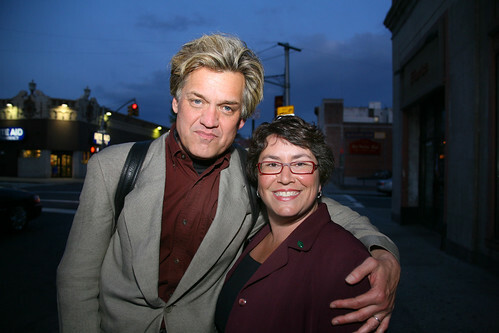 If there was any district in New York City where a Green Party candidate, independent of the political machine system, had the potential to get elected, it is in Astoria’s 22nd District, Lynne Serpe said. The environmental activist threw her name into the race to replace outgoing City Councilman Peter Vallone Jr. (D-Astoria), along with several other major party candidates like Democratic District Leader Costa Constantinides, Democrat John Ciafone, Conservative and Independence candidate Danielle De Stefano, Democrat Constantino “Gus” Prentzas and former New York Young Republican Club President Daniel Peterson. The winner will go on to represent the 22nd District, which includes Astoria, Long Island City and parts of Jackson Heights. Rich, US Senate candidate LeAlan Jones and several other Green Party candidates and volunteers will be marching in this year’s May Day Immigration March in Chicago on Saturday, May 1st. Please join us at 1pm at the corner of Lake & Ashland by Union Park. April 30: Rich will be in Peoria this Friday for a joint campaign event at the Peoria Theater with green congressional candidate Sheldon Schafer from 6:00-10pm. In an article at Your Nabe.com, writer Nathan Duke covers the only debate between Peter Vallone Jr., incumbent Democratic City Councilperson from Astoria, NYC, Green Party challanger Lynne Serrpe, and Populist Party nominee Jerry Kahn. The three candidates answered anonymous questions from audience members at Astoria’s Riccardo’s by the Bridge in the mostly cordial debate. Vallone, who was first elected in 2001, touted his record in the Council, while Serpe emphasized environmental issues and Kann pushed for higher taxes on the city’s wealthier residents. Zwire.com has a fairly indepth review of each of the three candidates. Local Elections	Astoria, Jerry Kahn, Lynne Serpe, New York, NYC, Peter Vallone Jr.
Rev. Billy: Two Weeks ‘Til Election Day – We Need You! In a message to supporters sent Tuesday, Reverend Billy Talen encouraged his supporters push forward, with two weeks to election day. The campaign’s latest video is below, and the text of his message is below the fold. In New York City, city council races used to be considered over after the Democratic primary. But this year, Green Party candidates are breathing some life into previously stagnant local politics. A blogger at the Daily Gotham, who is still bitter about Nader’s 2000 campaign, nonetheless admits that David Pechefsky would be better for Park Slope than the problematic incumbent: “Pechefsky, from what I can tell, fits the district perfectly in where he stands on issues. He is honest and up front and personable”. Pechefsky also took part in the Develop Don’t Destroy Brooklyn Walkathon, siding with a large number of residents who oppose undemocratic development. At a debate sponsored by the Brooklyn Paper, Pechefsky said he wouldn’t back a speaker who voted to overrule the voters’ decision on term limits, while the incumbent refused to take a clear position. Evergreen Chou of Flushing outlined his platform in a candidates forum at the Flushing library. On Friday Oct. 23rd, Green mayoral candidate Rev. Billy Talen will join Serpe and Chou at a benefit called “Party with the Greens in Queens”. New York City politics have been a lot more lively this year thanks to Rev. Billy Talen’s campaign for mayor with the Green Party. Meanwhile, four hard-working Green candidates for NYC city council are hoping for a breakthrough in this overwhelmingly Democratic-voting city. David Pechefsky, who spent twelve years working for the city council, is now running to represent District 39, Park Slope – Brooklyn. He has made a major issue out of reforming the city council so that the speaker doesn’t have all the power, as this short video explains nicely. To learn more about David Pechefsky and donate to his campaign, check out his website (donations to NYC candidates from residents of the 5 boroughs can be matched 6-1 by the city’s public funding program – so please help out NYC’s 5 excellent Green candidates!). Evergreen Chou, a Green stalwart in Queens since the 1996 Nader campaign, is running to represent District 20, Flushing – Queens. Chou’s proposals include a requirement that 1/3 of new housing be allocated for low-income earners, a city survey of pollution-related conditions like asthma, new bike and pedestrian paths along Flushing’s waterfront, and posting the city budget online for greater transparency in how tax money is spent. Lynne Serpe, an energy efficiency expert, community organizer and urban gardener, is running to represent District 22, Astoria – Queens. Her comprehensive platform focuses especially on the link between the environment and public health. Lynne Serpe is calling for sustainable development with thriving small businesses and green jobs; more public space, including community gardens and waterfront access for all; an improved transportation network; and energy-efficient, affordable housing. She recently penned an editorial for the New York Daily News calling for instant runoff voting in New York City. Walter Nestler, a landscape architect who has served as an environmental watchdog on Community Board 9, is running to represent District 18 in the Southeast Bronx. He promises to fight the city’s habit of using the Southeast Bronx as a dumping ground for hazardous waste. Like Reverend Billy Talen, Nestler seeks to protect local businesses in a city that he sees as “becoming increasingly hostile towards” small business owners. New York City – still the world’s leading example of strength through diversity – needs a strong Green Party to advance social and economic justice and sustainable development. With some innovative thinking, New York can lead the way to America’s future, but it is in mortal danger of succumbing to its worst demons – real estate speculation, disneyfication, and the Wall Street speculation that took down the global economy last year. By donating to Billy Talen, David Pechefsky, Evergreen Chou, Lynne Serpe, and Walter Nestler, you can help to turn the Big Apple Green.